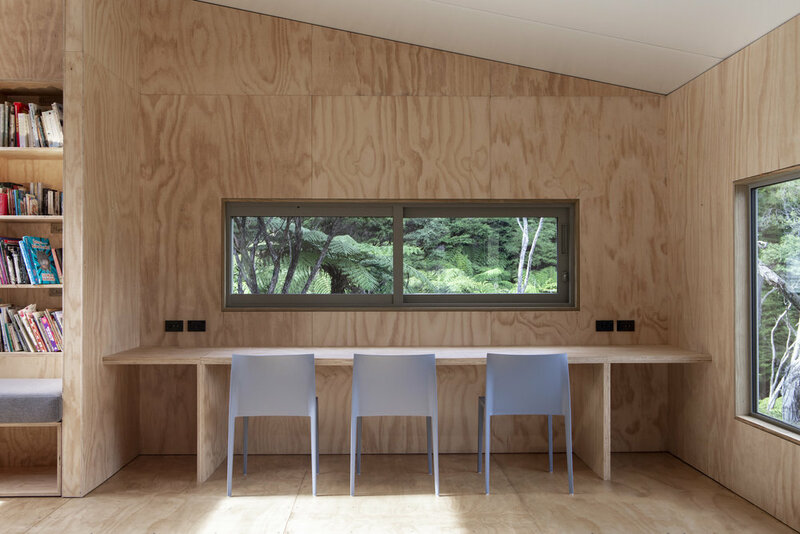 Kaikoura Island in the CarterHoltHarvey publication shows the evolution of the interior ply finish and the involvement of various professionals that made this project possible. The selection of this material is a great choice because it is affordable, strong and imbued with texture and warmth. Merryn Jolly, CHH Woodproducts’ Product Manager summarises, “it was great to be part of a project which supports New Zealand’s natural environment and gave us the opportunity to partner with Architecture+Women-NZ. I know from experience the great work women do in the manufacture of timber products in New Zealand, and to see women using these materials made me proud to support this project”.